02.06.13 Hospital Dora, stamp memories, sharing a blessing, Open House, china for sale!!! I intended my blog to be solely about our adventures traveling but that seems to be on hold waiting for the sale of our home. 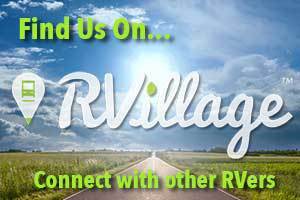 In the interim I’ve been sharing what’s going on and what we’re learning about living in an RV. We still love living in our RV. Or in Dora’s tummy, like our granddaughter announced one day. We get in through her ear (the door) and make Dora happy by being in her tummy! We just wish we weren’t still living in our own driveway!! I now don’t know why we ever thought we needed so much space in our sticks and bricks homes. People have asked what we do when we want alone time. There are two doors and a small hallway between the living/dining area and the bedroom which provides us all the separation we might need. I feel like I’m in my own cocoon in our bedroom when reading before bedtime. It’s a wonderful feeling. Neither of us feels like we’re in a confined space as you might think we would. Roy and I have both been sick with congestion moving from head to chest to ears to throat for the last many days and are holed up today in the RV with the windows all covered so now Dora’s a little mini hospital trying to get her Explorers better. I’m not a very good sit still sick person, so for the last hour or so I’ve been working on taking stamps out of an album of un-cancelled stamps my dad and I collected over the years. Stamp collecting was a wonderful hobby we both loved. I have five albums we can’t take with us so I’ve been trying to sell them. No progress until today when I got an email from a man who has asked for pictures of cancelled Great Britain stamps recently. He wants to buy the album those are in and I’m delighted. I brought them all to the estate consignment store this week to hopefully find someone through there who will give them a good home. I’ve contacted several dealers and auction houses, etc. with no one interested in purchasing them. Seems stamp collecting has not made it into this generation’s radar and anyone who use to collect them has all they want. The un-cancelled stamps I am removing from that particular album will be used on Christmas cards, etc. in the future. Might as well get some use out of them since they are still perfectly good usable stamps. I have unused stamps back from 1922 and every year until around 1980 when Daddy died so it will make for some interesting envelope decorations! There are many beautiful stamps in this collection. If anyone wants some for craft purposes let me know! I’d be glad to share. I’d like to begin sharing some things that are special to me and I hope touch each of you in some way. The other day I stumbled across a blog, A Holy Experience, written by Ann Voskamp, a Christian woman, farmer’s wife, mother of six and it meant so much to me I’d like to share this link to her page with you. Look around her pages and read previous blogs if it interests you. Her writing is a wonderful inspiration to women and mothers and I feel lead to share this with those who might be reading my blog. I can feel Christ speaking through her love and dedication to Him. I don’t have the type of talent she has but I hope through my blog you’ll be blessed by hers. Be sure to start with her February 4th entry “God Made a Mother and You — So Farmer On!” It has some similarities to the Super Bowl commercial called God made a Farmer. Women have unique needs which her writing seems to speak directly to. Can you tell this has taken hold of my interest! I believe you will be blessed by it. Our first Open House is this Sunday from 3-5. If anyone would like to tour our humble abode and bring a friend who might be house hunting, please join our lovely agent Pat Tucker as she continues her efforts to sell our sticks house! With football season over we’re hoping folks will be bored and will be driving around and buy our house! One can only hope. Our garage sale has been moved to the following Saturday, February 16th. We have next Monday and Tuesday off work for Mardi Gras and moving the date gave us a couple of good days to get the last things out of our computer room down to the garage for sale. Roy will have several computers, monitors, keyboards and many other computer items for sale. How much more ready can we get to hit the road! I still have a beautiful set of china for sale if anyone is interested. < 01.27.13 Santa Paul, RV trash cans, 2 tsp of detergent, stinky foods, Sam’s visit…..
Hope you guys are all better soon!